Heritage 2020 is a major initiative to strengthen partnerships and collaborative working across the historic environment sector in order to sustain and promote the historic environment of England, encourage access and broaden knowledge for a variety of audiences. Organisations from across the historic environment sector are working together to address priorities for collaborative working which are set out in the Heritage 2020 Framework under five strategic themes: Capacity building, Constructive Conservation & Sustainable Management, Discovery Identification & Understanding, Helping Things to Happen, and Public Engagement. Our next HeritageChat will take place on Thursday 21st March, 13.00-14.00 (UK time). What would you like to see discussed under this theme? Please contribute ideas on our GoogleDoc here until 18th March. 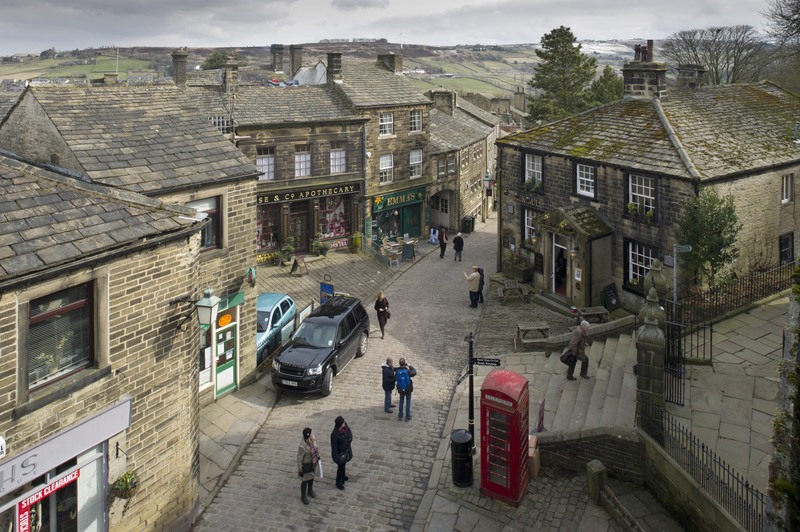 It was announced in the 2018 Budget that the government will establish a Future High Streets fund that will dedicate £675 million to help local communities respond to the challenges facing their high streets. 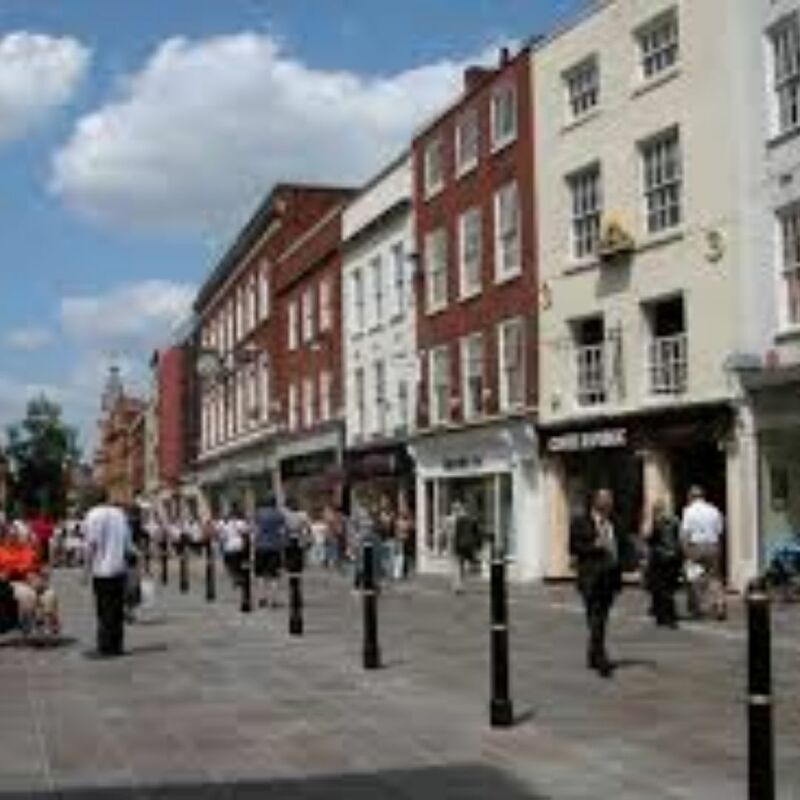 The future of historic high streets is a key concern of Heritage 2020's Constructive Conservation and Sustainable Management working group, and they have compiled a review of research, toolkits and projects that promote a heritage led response to the challenges. You can add information to this here. Heritage 2020- your views are needed! 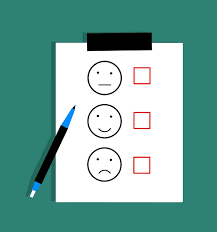 We now seek your input to an interim review that will help to assess sector engagement with the framework, the impact of the activities of the working groups, priorities for the remaining two years of the framework period, and views on the sector’s priorities for collaborative working for 2020-2025. Thank you for all contributions to the survey which has now closed. 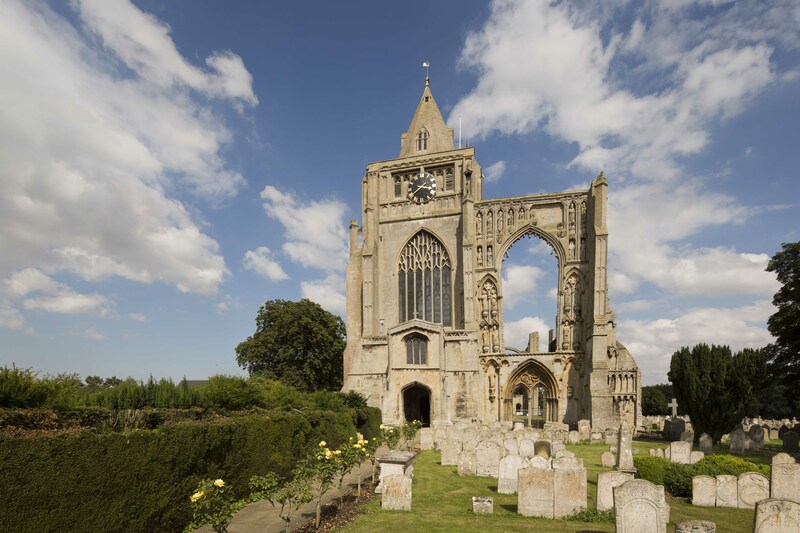 The Heritage 2020 Capacity Building Group is working with Iceni Projects on a project to update an existing list of statutory duties imposed by Government on Local Authorities as they relate to heritage. This piece of work will help focus those bodies on the duties imposed on them by Parliament and, therefore, their need to retain the skills and expertise necessary to discharge them. 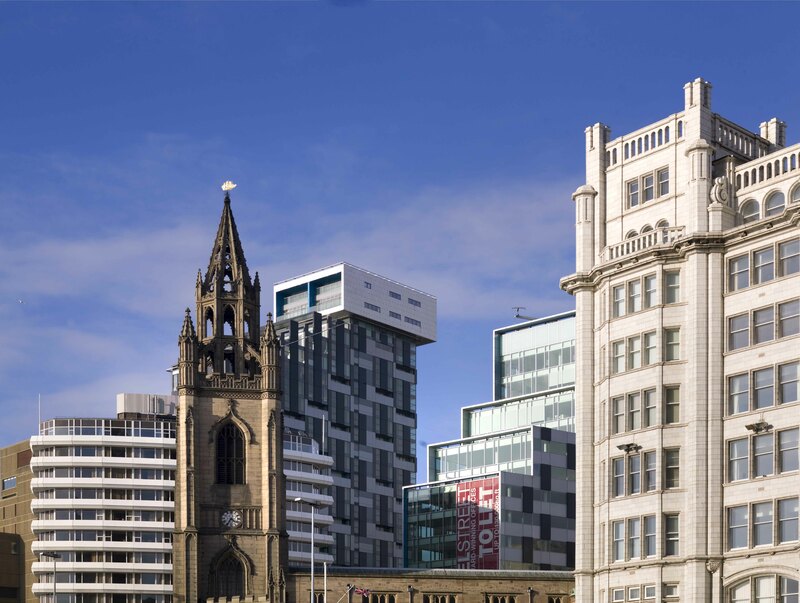 The vision is a sustainable network of local authority expertise available to developers and communities. What's over the digital horizon for heritage? 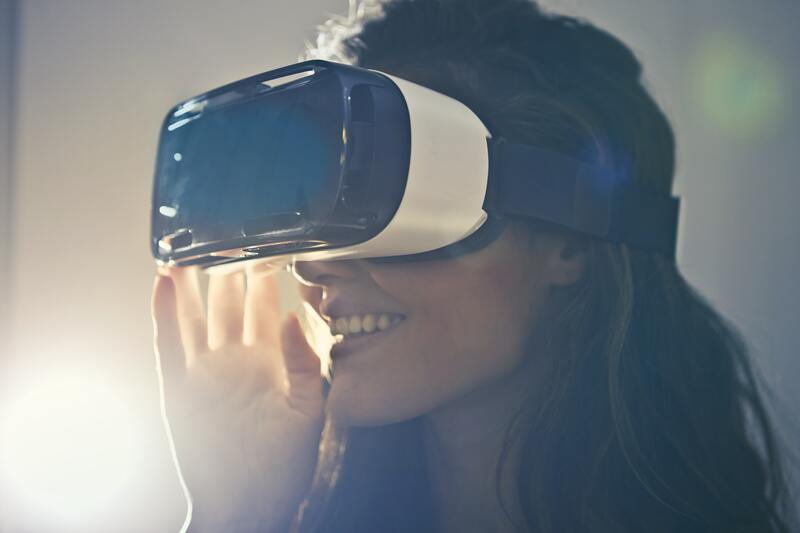 On the 8th March 2018, Heritage 2020 held its yearly foresight workshop on a digital theme, and asked the question: what’s over the digital horizon for heritage? Participants came together to discuss opportunities for collaborative working and in groups were asked to identify a single ‘digital ambition’ for each of the following four themes: 1) New audiences; 2) Skills; 3) Conservation management; 4) Re-use of data. Find out what they came up with by reading a detailed report on the day here. Alternatively, find a condensed summary here. 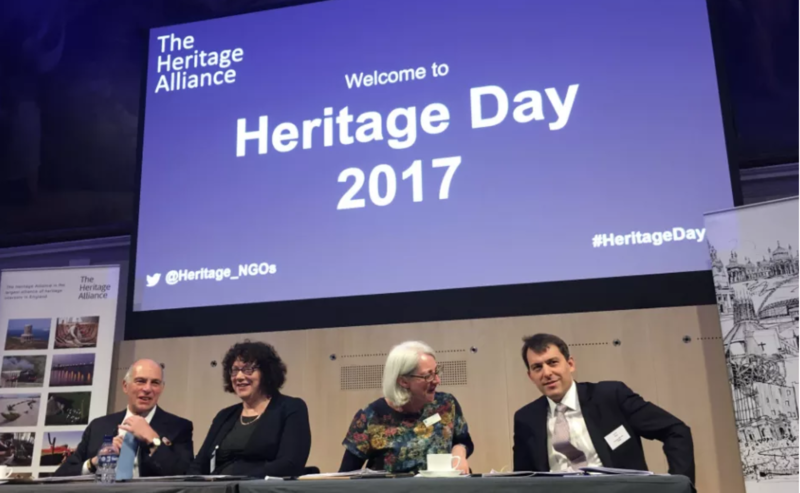 On 5 December Mike Heyworth, Chair of the Heritage 2020 HEF subcommittee, spoke to a capacity crowd at The Heritage Alliance's annual Heritage Day. As well as summarising recent activity, Mike encouraged people to get involved with the initiative by signing up to the e-news of taking part in #HeritageChat. See presentation slides here. 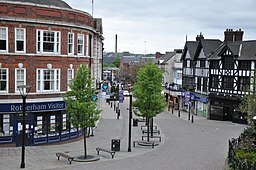 Heritage 2020 is holding a seminar to review heritage and high streets, see the Constructive Conservation and Sustainable Management page for information and booking. #HeritageChat is the new monthly Twitter chat for the historic environment sector, run from the handle @HeritageChat. Designed as part of Heritage2020’s consultation process, it intends to increase the opportunities for the sector to contribute directly to Heritage2020’s activities. Likewise, it gives Heritage2020 the chance to connect with the sector more widely. Following the positive response to the Twitter poll, Heritage 2020 is now in the process of finalising the details of #HeritageChat. We're still looking for different organisations to take turns in running the monthly chats. If you're interested in taking part or would like to learn more about #HeritageChat see our #HeritageChat page. Using the responses from the 2016 Consultation, each Working Group has determined their actions for the coming year. These are available as the Working Group Action Plan, which demonstrates how the intended actions meet the aims of each group, as laid out in the Heritage 2020 Framework. The Action Plans are also available on the individual Working Group pages. 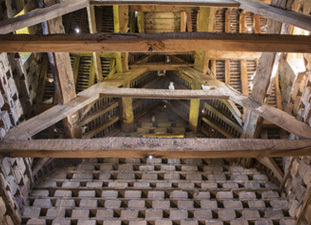 The 2016 consultation sought input to the initial priorities identified for collaboration including: research needs, diversity in public engagement, the new Apprenticeship scheme, support for the transfer of publicly owned heritage assets and how Heritage 2020 can support the sector in making the case for the value of heritage. The summary of the responses, including how the Heritage 2020 working groups are taking forward the suggestions made is available here. .
On 15th March 2017, the Capacity Building group hosted an Apprenticeship Reform Workshop, as part of its work to help address barriers to skills development. Participants were updated on the Apprenticeship Levy and Apprenticeship Reform in England, including the Trailblazer process; shared experience and practice in developing new apprenticeship standards; and established next steps and priorities going forward. 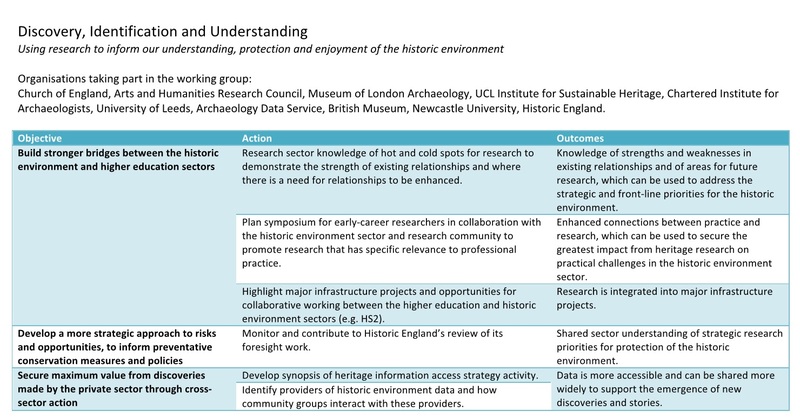 These outcomes afford a shared level of knowledge and understanding, reflecting Heritage 2020’s mission to strengthen partnerships and collaboration across the historic environment sector. On 8th February members of the Heritage 2020 working groups and the Historic Environment Forum came together to discuss diversity in the historic environment sector and how priorities could be addressed through collaborative working. Notes from the day are now available. The challenges, priority actions and suggestions for collaboration could be grouped under three main headings of data, process and perception. The foundation Heritage 2020 Framework document is now available. The Framework was created as a result of collaboration during 2014. It does not aim to be comprehensive in describing all the activities of the heritage sector, but focuses on the areas where collaboration is necessary to deliver public benefits. Each of the Heritage 2020 working groups is responsible for identifying key issues within its strategic theme, agreeing priorities for collaborative action and developing action plans that will deliver against the priorities. The action plans will be reviewed each year. Heritage 2020 is delivered under the auspices of the Historic Environment Forum with work taking place through five working groups. 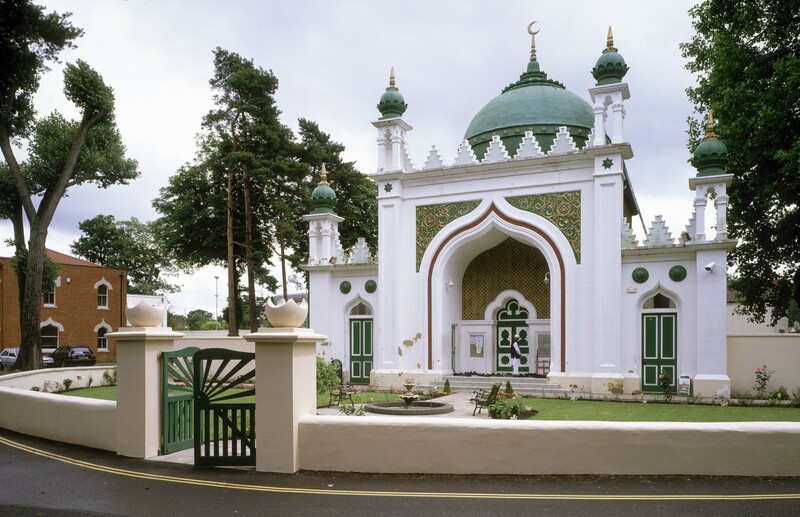 A three year project is managed by The Heritage Alliance and supported by Historic England. Find out more about who is involved.